202 East Adams Street O'Fallon, IL. 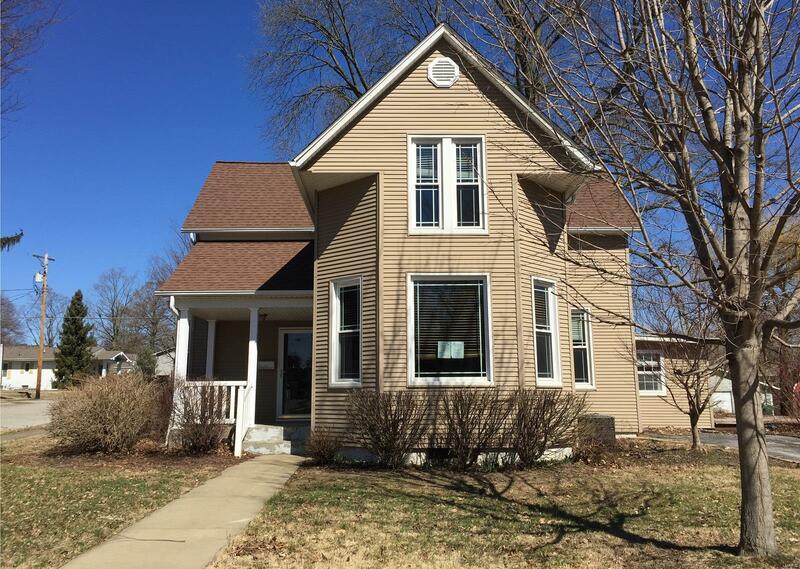 | MLS# 19018147 | Chuck Baer Realty, Inc - Homes for sale and rent in Cahokia, Dupo, E. St. Louis, Belleville, Waterloo, Columbia, OFallon and surrounding areas. CBR Property Management is a division of Chuck Baer Realty, Inc. offering property management and rentals. This 1 1/2 Story Home in O'Fallon has lots to Offer!!!! Over 2000 sq ft. of Living Space with a full basement - Spacious Living Room, Large Eat-In Kitchen, Family Room with Wood Burning Stove, Master Bedroom and Full Bath all on the Main Level. The Upper Level offers 2 Bedroom and 2 Bonus Rooms and 3/4 Bath. There is a Laundry area with Washer and Dryer. You will enjoy relaxing on the covered front porch or entertaining on the deck in back. Located on a large lot - Includes Parcel #04-29.0-115-010. Close to Downtown Amenities, Schools, Restaurants, Medical Facilities, Shopping areas and easy access to Interstate Highways. This is a Must See!!!! Call for your appointment to see today!!!! Buyer to verify all Listing Data including but not limited to sq. ft., measurements, features, lot size, taxes/exemptions, schools and etc.